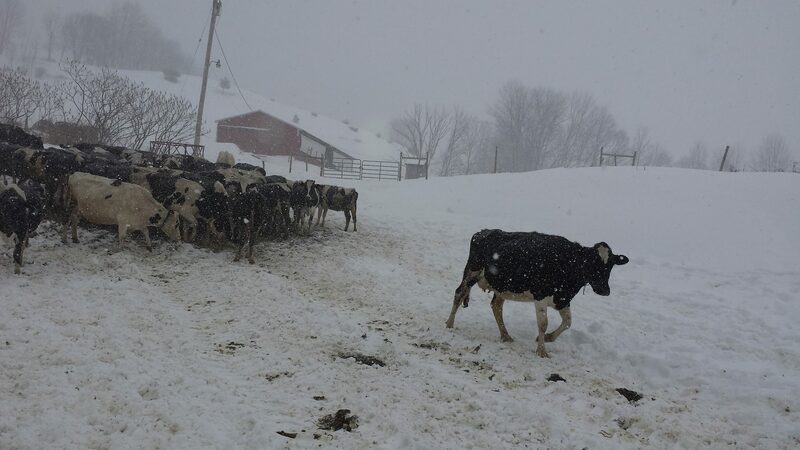 Tonjes Farm Dairy is a 2nd and 3rd generation family farm owned and operated by Tim and Mary Tonjes. They have a herd of 100 Holstein cows whose grass-fed milk is used to make bottled non-homogenized whole milk, cream, yogurt, kefir, and cheese. Located in beautiful Sullivan County in the Catkills, the farm has an on-site cheese cave where all their cheeses are produced and aged. Their amazing cheese, milk, and yogurt are made without hormones, antibiotics, additives, or preservatives.